The best spot on Hebgen. See our full-service marina for fuel, boat rentals for pontoon, fishing and waterskiing, plus paddle craft (SUP, kayak & canoe) and store items. 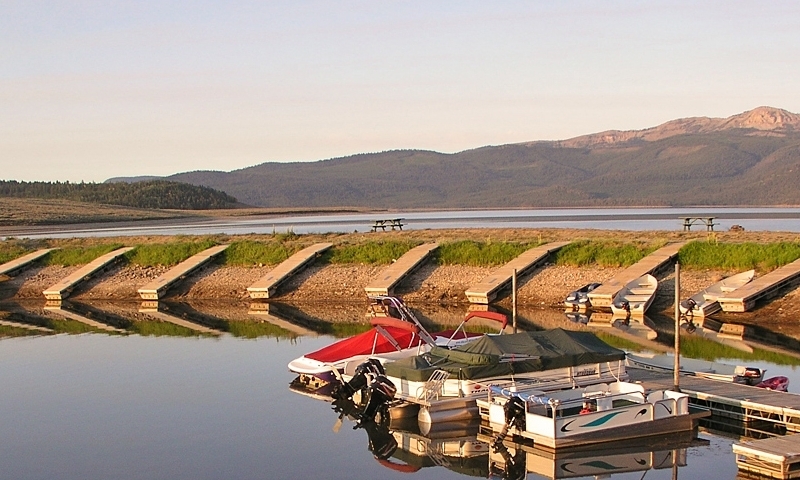 Hebgen Lake is a lovely recreation area filled with spectacular scenery and a wide array of water activities. This man-made lake is about 15 miles long and 2 1/2 miles wide, providing an ideal vacation spot not far from Yellowstone National Park. The lake ices over starting in December and breaks-up around late March. Fishing can be very productive right after ice-out, and boating enthusiasts enjoy warmer waters beginning in July. Hebgen Lake Montana is only roughly 20 minutes (10 miles) north and west of West Yellowstone, off Highways 87 and 287. Hebgen Lake is accessible throughout the year. Most visitors come during the summer, but there are opportunities for fun activities throughout the year. 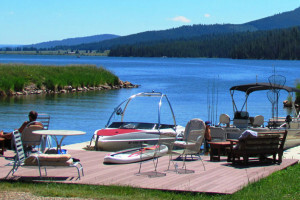 You also have access to many commercial services, such as restaurants, RV parks, boat rentals and marinas. With such a large lake, boating is a real pleasure. You can sail under the sun, water ski when there isn’t much wind or paddle around in a canoe or kayak. There are boat launches all around the lake. Some say that Hebgen Lake MT is the best dry fly lake in all of North America, but you’ll get a productive catch no matter whether you use wet or dry flies. You’ll certainly find plenty of cutthroats, rainbows and browns. Type of waterway: An earth-filled dam retains this man-made lake that is more than 16 miles long and between 2.5 and 4 miles wide. It’s not great for float tubing, since the winds get quite strong, but other crafts fare wonderfully, such as motorboats, canoes and kayaks. With boats, anglers can cover more area in a shorter amount of time. 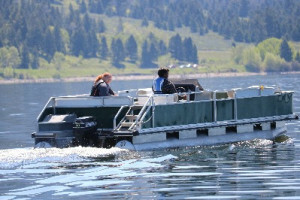 Fishing seasons: The best times for Hebgen Lake fishing are from the middle of May to late in July. In the early spring, the trout are learning to feed on the top of the lake, thus making for perfect dry fly fishing or top-water lures. In July get your spot by the weed beds to find the fish. But move around, because the fish are going to follow the hatches, which migrate throughout July and August. Once the lake freezes over (mid December), ice fishing can be excellent with jigs and spoons to catch brown and rainbow trout up until mid March. 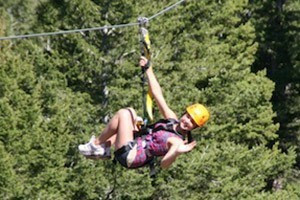 Good places to try are around Kirkwood Resort marina, the West Fork Madison River inlet and close to Hebgen Dam. Most common fish species: Hebgen Lake boasts great populations of both brown and rainbow trout. They are large too, averaging about 14 to 16 inches. Although it takes a while for the waters to warm up, it’s usually warm enough by July to take a swim. The Hebgen Lake area was the scene of the third largest earthquake (a magnitude of 7.5) to hit the lower 48 states. In 1959, this quake created a slide that cascaded from the south wall of the Madison River Canyon and blocked the gorge. It made a new lake (now called Quake Lake, roughly 7 miles downstream) and damaged many summer homes in the Hebgen Lake area. Jenny Lake is a highlight of Grand Teton National Park. Gorgeous lake at the foot of the Idaho's Sawtooth Mountains.